In the South East, you get ogiri (sometimes made from fermented pumpkin seed); in the South West, have iru; and in the North, you have dawadawa. Whichever region of Nigeria you go, you are sure to get a nutritional and medicinal seasoning. 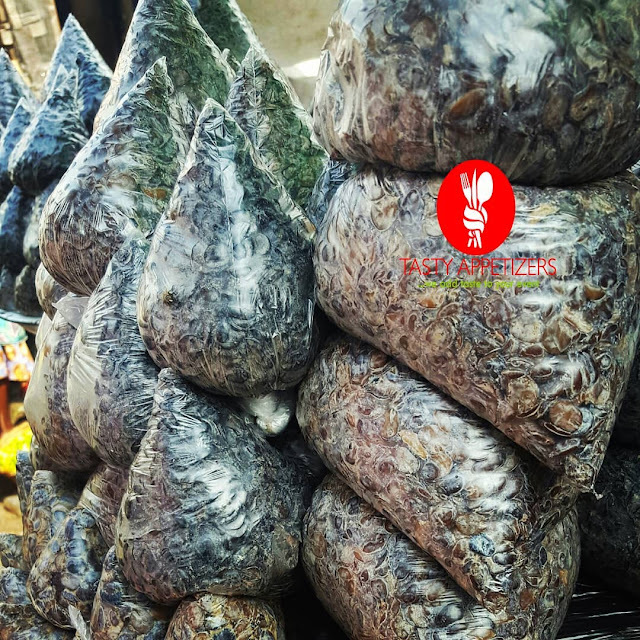 Locust bean, commonly referred to as iru, is a local seasoning used in soups and stews. A very popular soup ingredient, especially among the elderly women, globally, it is referred to as African locust bean with botanical name as Parkia biglobosa. Before the advent of modern seasonings like bullion cubes, it was such a condiment that could not be done without. Even at that, it has in recent years assumed a great deal of popularity among the younger generation in view of different kinds of diseases now commonly associated with the modern condiments and seasonings. The product is obtainable from a perennial tree legume which plays an important part in traditional agriculture, but has not entered commercial trade to any significant extent. A nutritionist and a staffer of Oyo State Ministry of Health, simply identified as Mrs. Alarape, spoke with Food and Beverages on this highly nutritious soup ingredient. “Parkia trees are found in Africa, South-East Asia and Tropical South-America as well,” she said. Insisting that the tree is not only popular in Africa or Yoruba land, as the case may be, she disclosed that “in Malaysia and Indonesia, the whole foods, including seeds of parkia speciosa are eaten raw or cooked as a vegetable known as ‘petal’. She further explained that in West Africa, from Gambia to Cameroun, “the beans of the Savanna species, parkia biglobosa, are widely fermented to the traditional dawadawa, while the yellow pericarp pulp is eaten as a fresh food which is the product of the seeds”. Locust bean, she analysed “is made from proximate composition of protein (30 per cent), fat (15 per cent) crude fibre (four per cent) ash (two per cent and carbohydrates (49 per cent). The raw fruit pulp is said to contain natural sugar and thus a potential source of energy, and the attractive yellow colour indicates the presence of phyto nutrients, possibly carotenoids which are important precursors of retinol (Vitamin A). It also has a sour taste which indicates the presence of ascorbic acid (Vitamin C). When it is fermented, the Yoruba have a way of getting two types from it, the mashed type and the loose or free type, and they are used for different types of soups, but for the same purpose. Locust bean is said to have some derivable nutritional benefits such as its impact on controlling blood pressure, whereby the diastolic blood pressure measurement enjoys more reduction than the systolic. The possible use of fermented locust bean seed in controlling diabetes and cholesterol level has been confirmed. Also, high levels of high density lipoproteins (HDL) – the good cholesterol, and low density lipoprotein (LDL) – the bad cholesterol, were observed in animals treated with the water extract of locust beans. The African locust bean tree has also been found to possess wonders. For instance, the pulverised bark of the tree is employed in wound healing and serves as one of the ingredients is used in treating leprosy. The decoction of the bark is also used as bath for fever and as a hot mouth wash to steam and relieve toothache in Cote d’Ivoire. Scientists have also concluded that both the water and alcoholic extracts of fermented seeds of African locust bean exact a blood sugar-lowering effect. Only the water extract of it can ameliorate the loss of body weight usually associated with diabetes. Despite the derivable benefits and the emerging popularity of the fermented locust beans, the production seems to be the exclusive preserve of the old generation, and this is giving experts worry as to what becomes of its future in the contemporary Yoruba/ African setting.